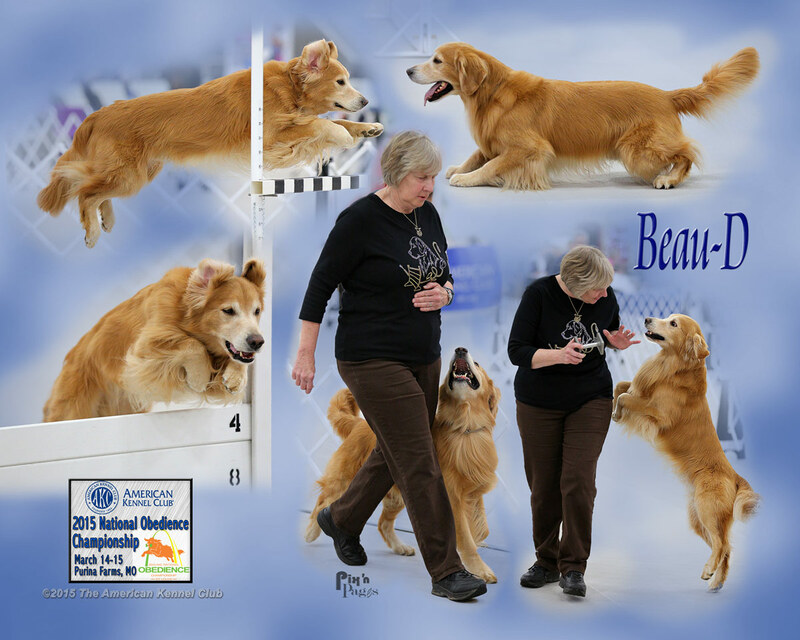 Beau-D Collage from 2015 AKC National Obedience Championships where he placed 10th out of 110 competitors. Beau-D qualifies for the 2015 Master National in October. He is most likely the only dog to qualify for both the AKC National Obedience Championships and the Master National. 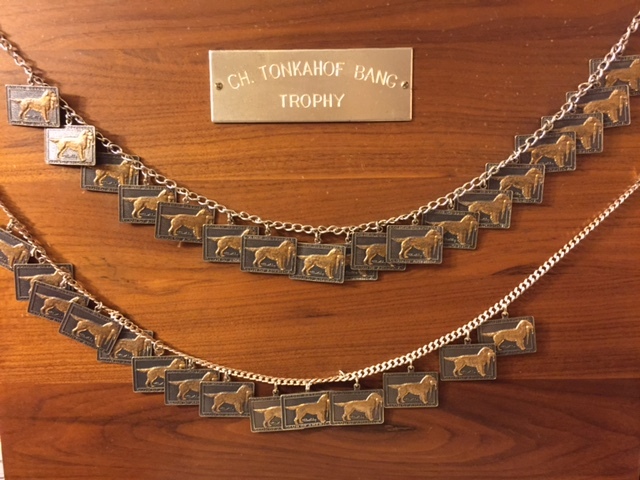 Beau-D earned the CH Tonkahof Bang Trophy at the 2014 GRCA National Specialty by being a CH and earning the highest place in a Field Trial event. Beau-D earned a JAM in the Qual Stakes. 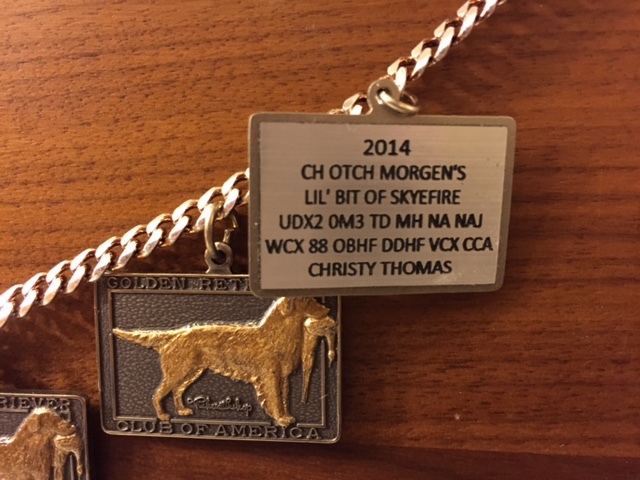 This is a very special honor!